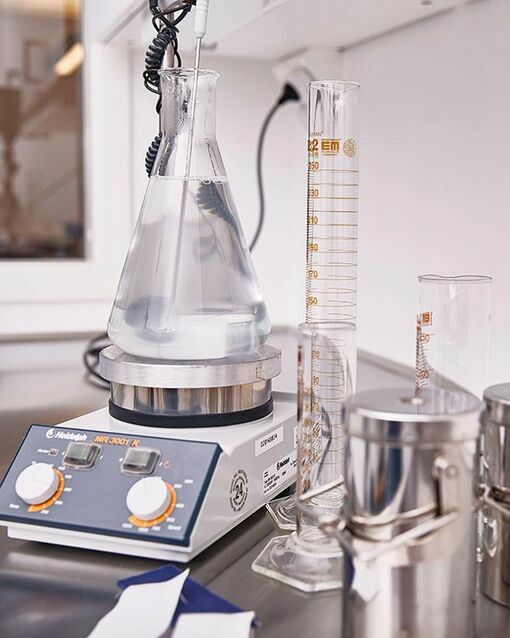 With our own laboratory in Borås, Sweden, we test and check the physical properties of raw materials and garments – an important part of product development. 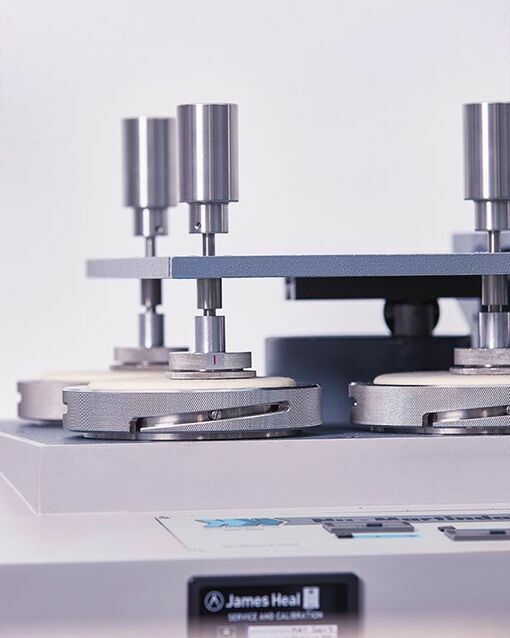 Abrasion resistance, pilling, tear strength, tensile strength, colourfastness and dimensional change are just some of the many tests that are carried out to make sure we always deliver top quality. All tests are conducted in a conditioned environment in accordance with the relevant international standards as used by accredited laboratories. Fristads is a member of the SIS working group on Textiles, which is the Swedish forum for development and updating of the international standards in use. 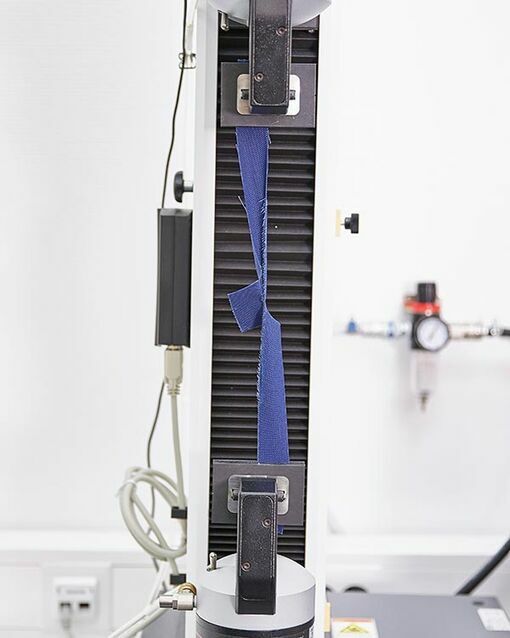 A fabric sample measuring five cm in width is attached to a tensile tester and then subjected to increasing loads until it breaks. The maximum force registered during the test is recorded and shown in Newtons. A sample piece of fabric is cut into the shape of a two-dimensional pair of trousers. 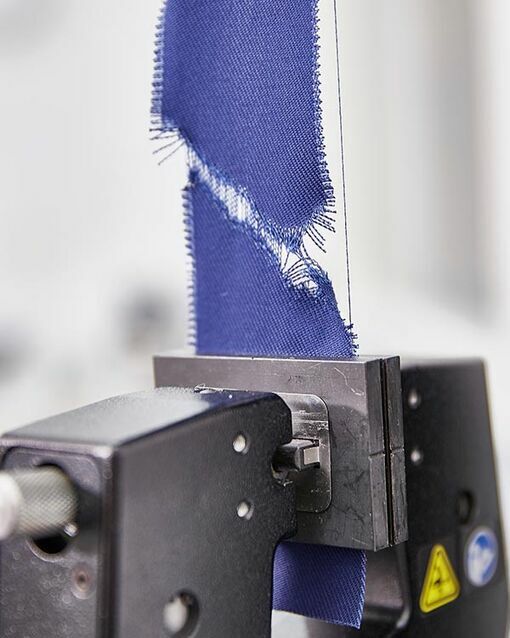 The sample’s “legs” are secured in different directions in a tensile tester and then subjected to a load until one thread after another is torn off. The force per thread is measured and the mean value is then recorded in Newtons. The abrasion resistance of fabric is tested in a Martindale machine. 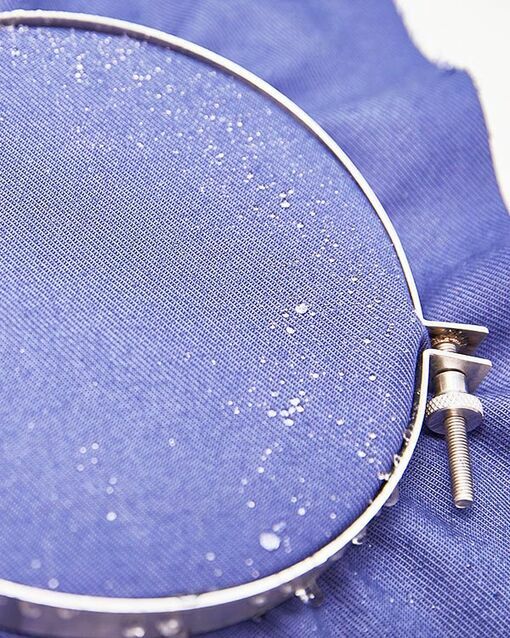 Fabric samples are subject to abrasion against a standardised wool weave. 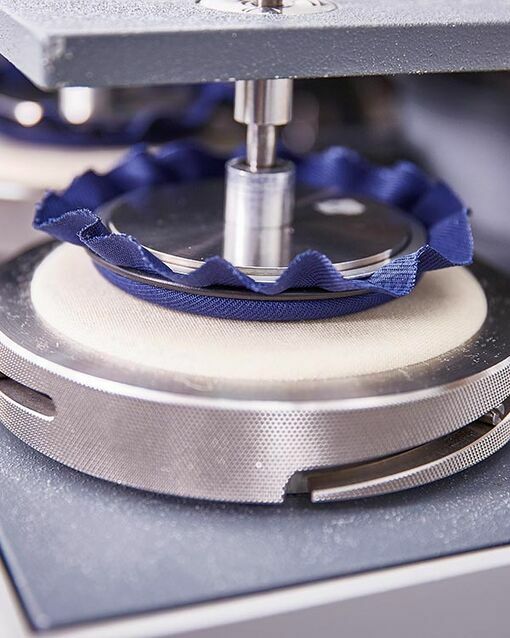 At specified intervals, the fabric samples are examined under a microscope until two threads from each sample have severed. The result gives the number of rubs of abrasion the fabric can withstand. Fabric samples are rubbed against a standardised wool weave in a Martindale machine. The pilling that arises on the sample is assessed against a scale from 1 to 5. The fabric sample is placed at a 45-degree angle in a spray rating tester. A specified quantity of water is then sprayed onto the fabric at a constant rate of flow. Wetting of the sample is assessed against a scale from 1 to 5. Using a Gyrowash, fabric samples are washed together with a multifibre strip and steel balls placed in a separate container. A multifibre strip consists of different types of fibre. After washing, the degree of staining visible on the various types of fibre is assessed against a scale from 1 to 5. The colour change in the washed fabric sample is also assessed.